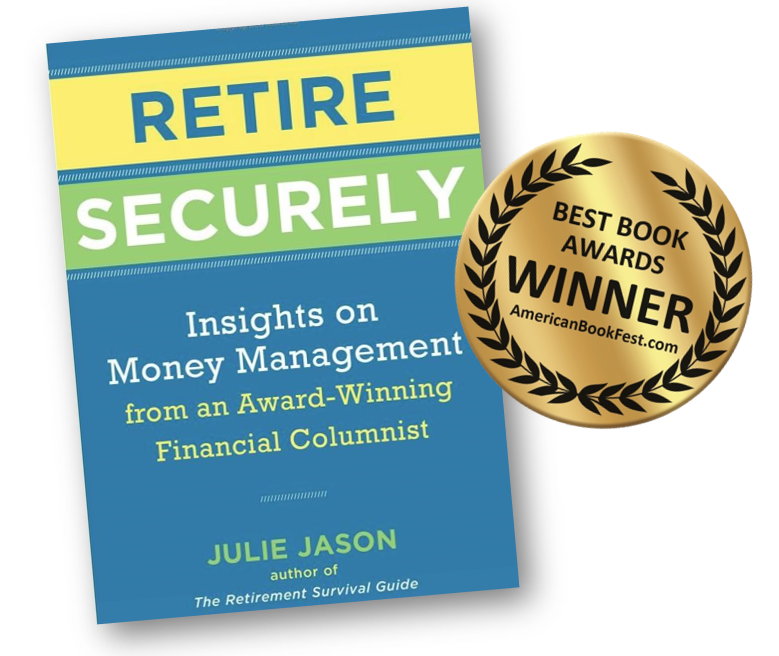 Julie Jason becomes the first author honored by American Book Fest Best Book Awards for three consecutive books with her latest book, Retire Securely, winning the 2018 Best Book Award in the Business: Personal Finance/Investing category. Jeffrey Keen, President & CEO of American Book Fest, announced Julie Jason’s book, Retire Securely: Insights on Money Management from an Award-Winning Financial Columnist, the winner of The 2018 Best Book Award in the Business: Personal Finance/Investing category. A proponent of investor protection and financial literacy for all financial backgrounds and ages, Julie Jason heads a fiduciary money management firm (Jackson, Grant Investment Advisers, Inc. of Stamford, CT) for high net worth families. Through her writing, she shares insights gained from a career in money management and law. These types of simple but impactful insights all come from Jason’s decades of experience working with her money management clients and her law background. In contrast to Jason’s other award-winners (The Retirement Survival Guide and Managing Retirement Wealth), which are books that lay out a process, Jason’s third book in the series, Retire Securely, provides a quick and easy read of short one-issue insights for anyone who wants to retire someday. American Book Fest is an online publication providing coverage for books from mainstream and independent publishers to the world online community. A complete list of the winners and finalists of The 2018 Best Book Awards are available online at American Book Fest. 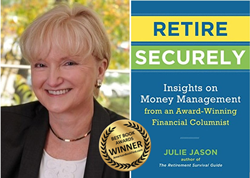 The 2018 winner is Julie Jason's Retire Securely: Insights on Money Management from an Award-Winning Financial Columnist (Sterling 2018). Jason’s Managing Retirement Wealth: An Expert Guide to Personal Portfolio Management in Good Times and Bad (Sterling 2011/2017), won the 2012 award. The 2010 award winner was Jason’s The AARP Retirement Survival Guide: How to Make Smart Decisions in Good Times and Bad (Sterling 2009/2017; re-released as The Retirement Survival Guide). 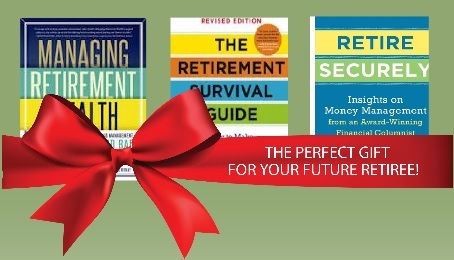 The Retirement Survival Guide was also honored with the EIFLE Award (Excellence in Financial Literacy Education), The International Book Award, the National Best Books Award, and the Axiom Business Book Award (2011), the book was also named a Top Ten Business Book in 2010 by Booklist (American Library Association). Managing Retirement Wealth is the sequel to the Survival Guide. This book takes you through the thinking behind how much savings you need to have before you retire, to how to organize and manage your investments after you retire. “In Managing Retirement Wealth, I wanted to share the logic behind setting up a plan and a process that delivers retirement security,” said Jason. Managing Retirement Wealth also received the EIFLE Award (Excellence in Financial Literacy Education), the International Book Award, the USA Best Books Award, and the Axiom Business Book Award (Silver Medal). A proponent of financial literacy, Julie Jason writes and lectures on financial topics of interest to everyday people. Jason is also the author of You and Your 401(k) (Simon & Schuster 1996); The 401(k) Plan Handbook (Prentice Hall 1997); JK Lasser’s Strategic Investing After 50 (John Wiley & Sons 2001); and Julie Jason’s Guide to Connecticut Probate: What Every Connecticut Family Needs to Know About Probate (LawFirst 2006). Jason contributed Chapter 1 (Achieving Financial Independence: How Women Can Create Retirement Wealth) to “Not Your Mother’s Retirement,” (Sellers 2012) and Chapter 24 (Managing Retirement Wealth Without a Crystal Ball) to “65 Things to Do When You Retire,” (Sellers 2014) both Mark Chimsky books. Jackson, Grant Investment Advisers, Inc.